2. What is the original source? So the post did link back to the original source – what is it? Is the source a reputable science journal, such as Nature? To be published in a science journal, research has to be peer-reviewed. This means that it is reviewed by other, independent scientists who are specialised in the particular area, to confirm that the study is well-designed, and reporting accurate data and conclusions. If the post clearly links back to such a source, you can safely assume that it’s reporting science, not pseudoscience. However, the keyword here is ‘clearly’ – as pseudoscience posts might throw in a murky reference to a science journal in an attempt to beef up their credibility, as done below. (A quick search for this Harvard Medical Study shows that it doesn’t in fact exist.) If you don’t know which journals are the reputable ones, you can consult this convenient journal ranking. Original sources may also be interviews with scientists or press releases by research groups or industry. These should be viewed slightly more skeptically than research in a scientific journal. Press releases often arise from research at its early stages, which hasn’t yet gone through the rigorous process of peer review. It may pass peer review at a later stage but, as it hasn’t yet, this should be considered as science at initial stages of being proven. Single scientists may also have their own agenda. For example, the doctor who originally started the bogus MMR vaccine debacle was shown to have a personal interest in reducing confidence in the MMR vaccine – he had previously patented his own standalone measles vaccine and was hoping to scare people away from the MMR shot, towards using his instead. 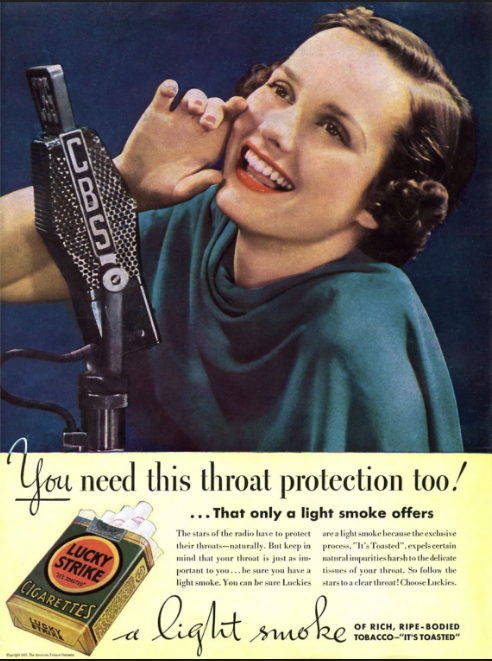 Tobacco companies also famously sponsored and published many studies claiming that there was no link between smoking and cancer, which with the gift of hindsight are laughable. Clearly biased research sponsors or scientists are warning signs of improper research. Two more steps to go – read on to page 3.